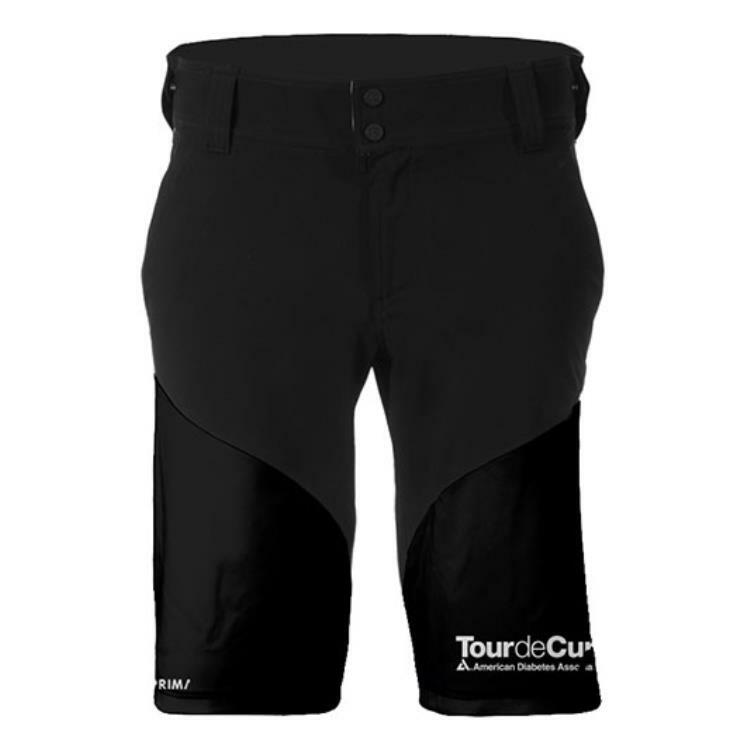 Tour de Cure Primal Wear relax fit short with an adjustable waist band, lightweight and durable Stessa fabric, removable chamois liner, and rear pockets. Primal Wear's Escade relax fit short gives any rider the superior quality and functional comfort on and off the path. With an adjustable waist band, lightweight and durable Stessa fabric, removable chamois liner, and rear pockets, the Escade short offers a versatile range for any rider. Womens sizing. Tour de Cure logo on lower left leg.